The Yeezy Wave Runners have elicited a love/hate reaction, and little in between! Ugly sneakers. 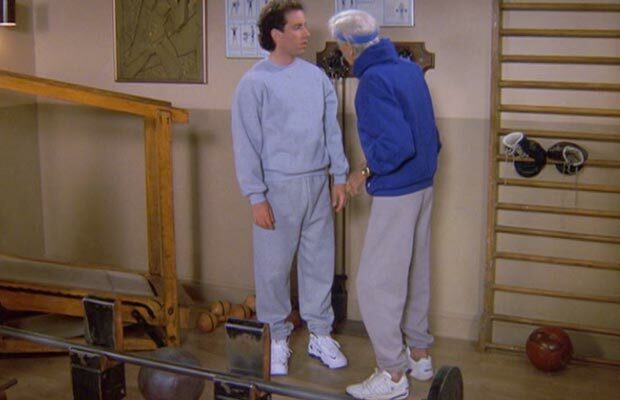 Just when it seemed like normcore had exhausted itself, and we’d wrung the last Seinfeld meme out of the deep, dark web, the dad shoes trend has roared back to the fore. This time, however, it’s gone fancy. Balenciaga, Prada, YEEZY, and other luxury houses have all rolled out audacious high-end takes on the stigmatized staple. It’s polarized many but also launched an indisputably big trend. Sometime around Spring 2017 this new era of elevated suburban dad-and-mom garb got a name, “gorpcore.” The hyper-practical, utilitarian-survivalist look is going strong through winter. But are the associated dad kicks here to stay in 2018 or just another blip on the fad radar? The Balenciaga Triple S sneakers take a maximal approach to dad-core. The three shoes at the heart of pumping up this trend are undoubtedly the YEEZY Wave Runner 700, the adidas Originals x Raf Simons Ozweego and Balenciaga’s Triple S. The thick, 90s color referencing Wave Runner 700 appeared for pre-ordering on Yeezy Supply back in summer. They finally started making their way to buyers in October. They’ve been all over Instagram, appearing as a fave by Kim Kardashian and other notable influencers. Balenciaga’s Triple S, meanwhile, is no slouch. It features a big chunky rubber sole constructed of not one, not two, but three classic dad and mum-type embellished sole shapes. It’s a very cool layering effect. With nubuck leather trim, contrasting mesh and rubber details. The colorful shoe dazzles and sticks out like a sore thumb, much like your dad at the after-hours club. No surprise it’s the most avant-garde of the bunch, what with Vetements’ Demna Gvasalia working at creative director for the venerable brand. The adidas Originals x Raf Simons Ozweego meanwhile puts mesh colorways into a ginormous sculpted rubber sole. Rubberized transparencies add accents on the sides. Zara channels Raf and Balenciaga dad shoes into a small priced mass-market package. Watch out, because Zara’s leading the charge on providing affordable fast-fashion takes on the trend. Their “Multi-Piece Sneaker” appeared back in September, appearing to cross-breed the patchwork multiple materials of the Triple S with the profile of the Ozweego. Favoring monochromatic colors, they aren’t quite eye-popping, but they do nail that 90s K-Mart look. They hold a cheap cheap price point, coppable for just below $40 USD. Personally don’t think they hold a candle to the more luxe offerings, but hey, if you’re not flush with cash and have fomo, go for it. No shame! Are Ugly Sneakers Here to Stay? 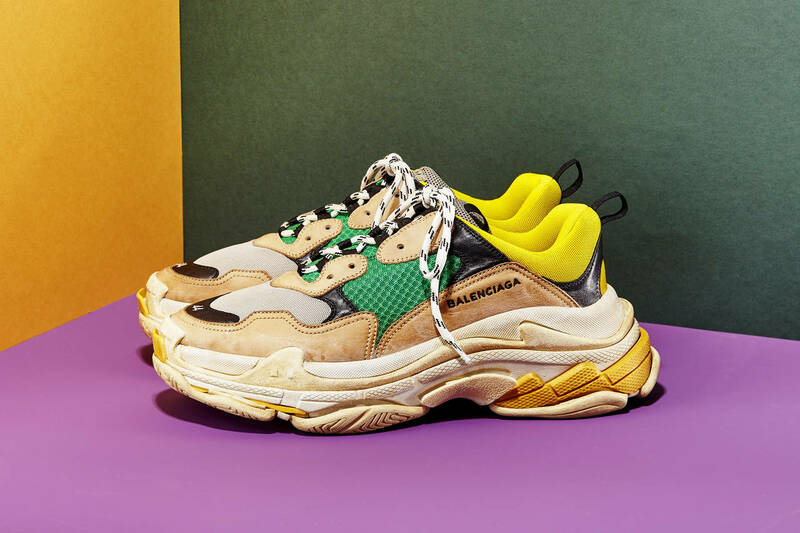 Of course, only time will tell whether we’ll remember shoes like the Balenciaga Triple S as a design classic or a puzzling fashion foible. One thing’s for sure, now’s the time to grip! This trend shows no signs of slowing down anytime soon. Something in our cultural id has crossed a threshold. Chunky sneakers, puffers, and white socks are not going away anytime soon. Got a fave ugly sneaker of the bunch, love the trend/hate the trend? Make your opinion known in the comments!